We are committed to compliance and all information we collect and store will be accordance to GDPR. The National Pigeon Association takes privacy very seriously. This notice explains how we use the personal information you provide to us for the purpose of facilitating your enquiry and membership, including how we share it with third parties. We may obtain records of site statistics about your use of our website or Facebook page but this format does not identify any individual. We will not us your personal information for marketing purposes. To set up and maintain your Membership and Ring register facility. To provide you with any relevant information appertaining to your membership, ring sales and transfers, lost bird repatriation and any other required for the running of the association. To provide you with details of our products, services and promotions. In connection with these purposes, we may share your personal information with third parties that perform services on the Associations behalf, including printing, and fraud sharing organizations. If we are under a duty to disclose or share your personal information to comply with any legal obligation, or to enforce or apply our rules, and other agreements. To protect the rights and property of The National Pigeon Association and its members. From time to time we would also like to keep in touch with you, to provide details about the association’s activities. If you do not want to be contacted in this way, please contact us at secretary@nationalpigeonassociation.org and we will facilitate your request. Your data is stored electronically and in paper form within the EEU. Computers are password protected and data encrypted. All data supplied in paper form is securely stored at the secretary’s premises. When required Data will be deleted and/or destroyed securely. You can make a request to us in relation to these right at any time by contacting us at secretary@nationalpigeonassociation.org any information to which you are entitled will be provided within a reasonable timeframe, subject to exemptions stipulated in applicable data protection laws. In the event of your membership lapsing we will keep your information for as long as we have rings registered to you name, up to a maximum of 10 years following the expiry of membership to enable lost birds to be re-patronized, any ring transfers dealt with in accordance to association rules. The National Pigeon Association, P O Box 337, Abergele, LL18 9HN. 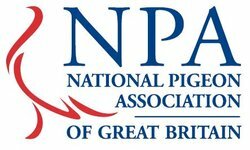 The National Pigeon Association of Great Britain (NPA) needs to gather and use certain information about individuals. These include members, customers, suppliers, clubs, business contacts, employees and other people the Association has a relationship with or may need to contact. This policy, in conjunction with the Associations Privacy Notice, outlines how this personal data must be collected, handled and stored to meet the company’s data protection standards and to comply with the law. Protects the rights of its members, secretaries, committee, officials, customers and other people the Association has a relationship with. The General Data Protection Regulations [GDPR] supersede previous Data Protection law in governing how organizations, including the NPA, must collect, handle and store personal information. These rules apply regardless of whether data is stored electronically, on paper or on other materials. Everyone that works for or with the NPA has some responsibility for ensuring data is collected, stored and handled appropriately. All individuals with access to personal data must ensure that it is handled and processed in line with this policy and data protection principles. Data should not be shared informally. When access to confidential information is required members/committee can request it from the General Secretary . Data should be regularly reviewed and updated if it is found to be out of date. If no longer required it should be deleted or securely disposed of in line with the Disposal of Data Policy. To facilitate this the Association has published a Privacy Notice that is available on the NPA website. The notice applies to members of the public in their dealings with the NPA as well as employees of the Association.